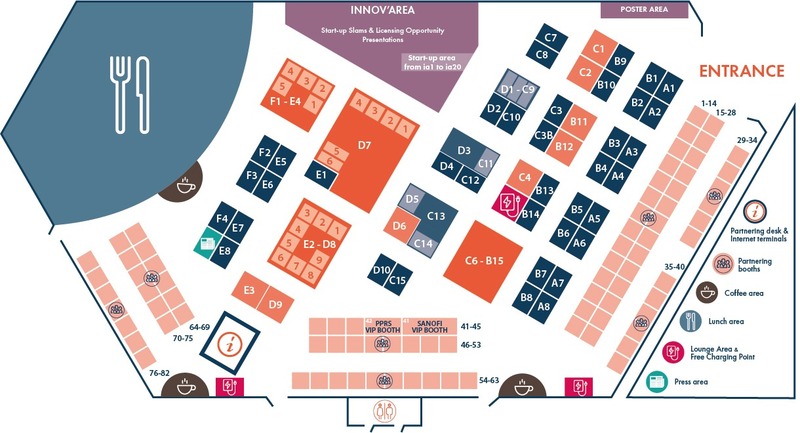 Within the exhibition area, 4 free charging stations to power your phone or tablet ! The company has always been led by innovation, that’s why Gidophone holds the patent on charging kiosks offering a wireless charging service, using the Qi standard, beside cables. More than just a charging station, they also provide you with an excellent means of communication, enabling announcers to promote brands thanks to wrapping and digital signage. Their team works in France and in every country you need to offer such an innovative service. WANT TO SPONSOR THE CHARGING STATIONS IN 2018? Aérial, Technology Resource Centre, offers services in R&D in the freeze-drying and radiation processing. Aérial’s freeze-drying activities encompasses thermal characterization, formulation and development of freeze-drying recipes for pharma products. In radiation processing, Aerial’s services cover validation of radiation sterilization and dosimetry for medical devices and pharma products and assessment of the impact product attributes with regard to standards requirements. Alcami’s cGMP drug product manufacturing facilities support preclinical, clinical and commercial supply. 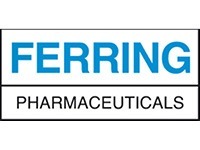 Our Charleston, South Carolina, is focused on processing parenteral products while the Wilmington, North Carolina facility is dedicated to solid oral dose manufacture. Both are fully integrated with Alcami’s packaging and distribution center. Two cGMP API facilities in Germantown, Wisconsin and Weert, Netherlands support Alcami’s process development/scale-up and clinical and commercial supply for customers worldwide. Amylgen is a preclinical CRO dedicated to provide our clients a comprehensive platform of models of neurodegenerative diseases/neurological disorders and techniques for the in vivo screening and pre-clinical validation of new drugs or nutraceuticals. 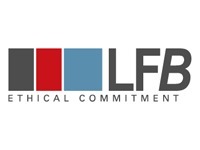 ARaymondlife is a French company, authorized as GMP EU pharmaceutical establishment since 2008, focused on the development and manufacture of solutions for the healthcare market. Specialized in plastic injection molding, ARaymondlife presents RayDyLyo®, a RTU plastic push fit cap. Alternative to the aluminum cap, RayDyLyo® is usable in isolators and RABS, for manual and automated capping. RayDyLyo® exists in Ø20 and Ø 13mm, in bulk or nested, with or without the stopper pre-assembled in the cap. ARTES Biotechnology is a pharmaceutical contract research company specialized in microbial process development and technology transfer. 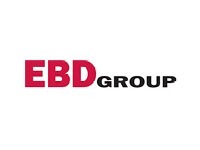 We market the unique METAVAX® (dHepB-VLP) technology in combination with yeast expression. This platform is applicable for large and multimeric antigens and able to create chimeric VLPs. In addition to genetic engineering, the company provides fermentation and downstream process development, analytical assay development and production cell line characterization. Healthcare systems, sales channels and distribution chains undergo constant changes to ensure patients derive the greatest benefit from innovative and existing pharmaceuticals and medical products at the most reasonable costs. Arvato Healthcare develop tailor-made outsourcing solutions that actively include all stakeholders within the healthcare sector - from patients, doctors and pharmacists through to health insurance companies and manufacturers. Supporting research in life and environmental sciences. Biogenouest is a Scientific Interest Group founded by : Anses, CNRS, lfremer, Inra, Inria, Inserm, Univ. Angers, Univ. Bretagne Occ., Univ. Bretagne Sud, Univ. Nantes, Univ. Rennes1. Ministry of Research Approved. Our network brings 34 technology core facilities that deliver hands-on solutions for labs and businesses across: genomics, proteomics, functional exploration, bioimaging structural and metabolic analysis, bioinformatics. Biotrial, leading early phase CRO, provides solutions in early development from non-clinical to phase II studies. Based in France, London, Montréal and New York, Biotrial offers tailor-made solutions for the pharmaceutical and biotech industries. Available as stand-alone or full packages, Biotrial’s services line includes: Non-clinical pharmacology, Regulatory Affairs, Phase I & II Study Management, Biometrics and Medical Writing, Monitoring, Core Lab, Bioanalysis, Pharmacovigilance. Boost4Health provides practical and financial support to life sciences companies who wish to explore their international growth potential. 11 leading business support organisations in 7 countries across Europe have joined forces into Boost4Health project to help SME to accelerate their international growth. By sharing expertise and networks, and providing practical and financial support, the Boost4Health community helps businesses to expand into new markets within North West Europe. Cell&Co BioServices offers a complete one-stop-shop solution for managing biological and clinical. The services we offer cover the following activities: • Biobanking; • GMP Biorepository; • Sample processing (extraction, aliquoting, fractionation, etc.) and bioanalysis; • Sampling kit design, production and supply; Cell&Co is certified ISO 9001 and NF S 96-900 and also applies the following quality standards GMP, GLP, GCP and BPR (Best Practices for Repositories). CIDETEC Nanomedicine is an institute for applied research that develops cutting-edge technology to transform it into advanced products. Four pillars support this activity: 1) Expert in technology transfer. 2) Strategic collaborations, 3) Differentiating facilities for the translation of nanomedicine and 4) Direct contact with the industry and clinicians. Our research is focused in: Drug-delivery via inhalation Drug-delivery via skin GMP Manufactuing of investigational medicinal products. With facilities located in France, Canada, Denmark and Hungary, CiToxLAB offers a comprehensive range of preclinical services to meet the needs of pharmaceutical, biotechnology, chemical, agrochemical and cosmetics companies worldwide. CiToxLAB performs studies in general and reproductive toxicology, carcinogenicity, immunology, safety pharmacology, DMPK and bioanalysis. The group has unique expertise in areas such as inhalation, medical device, in vitro and environmantal sciences. CONFARMA is an analytical service provider for pharmaceutical, biotechnology, medical device, chemical and cosmetic industries. CONFARMA go with you for your methods development, validations and routine analysis in microbiology, biology and physico-chemistry, according to the highest standards. 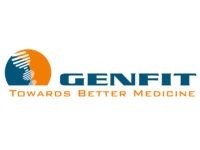 The site is a pharmaceutical establishment authorized by ANSM and declared compliant with GMP and GLP principles. CONFARMA is ISO 9001, 14001, OHSAS 18001, ISO 17025 accredited by COFRAC and FDA. CzechInvest, the investment and business development agency of the Ministry of Industry and Trade, works with businesses based in the Czech Republic to support their development and encourages overseas companies to look at the Czech Republic as their partner of choice. The agency helps its Czech and international customers by providing services that range from information provision and consultancy to implementation of business development programmes. You have identified reliable biomarkers or designed mAb against a bio-target. You have developed a companion diagnostic tool: immuno assay prototype (ELISA or LFIA) for biomarkers monitoring and you are willing to find a partner to industrialize your device before commercial batch. Delpharm Biotech, as Immuno Assay contract manufacturing organization (CMO) with all the capabilities, under ISO 13485 can meet your requirement in both veterinary and human diagnostic markets. Domainex is an integrated drug discovery service company serving pharmaceutical, biotechnology, academic and patient foundations globally. Domainex provides highly efficient scientific solutions to enable successful drug discovery programmes against a wide range of targets. Our highly experienced molecular biologists, medicinal, computation and analytical chemists have a strong success record in drug discovery, delivering on average one candidate drug every year for the past six years. DRUGABILIS is an established CRO specialized in pharmaceutical drugability of R&D compounds, including cytotoxic drugs. Our expertise includes API Solid Form Optimization (salts, polymorphs, cocristals) & Early Formulation, ranging from animal formulation (efficacy, PK, Tox) to early clinical formulation feasibility assessment (oral low soluble, injectable, ocular, dermal, vaginal …). We are also often engaged for trouble shooting studies on drug products facing unexplained performance issues. Dynacure is a biotechnology company founded in 2016 that is developing new treatments for patients affected by serious orphan disorders. In its first drug discovery program, Dynacure is focusing on Centronuclear Myopathies (CNM), a rare debilitating disease affecting children and young adults. Dynacure’s Dyn101 is an antisense oligonucleotide developed in collaboration with IONIS Pharma (USA). E-Phy-Science is a service company providing a top level expertise in in vitro and in vivo ELECTROPHYSIOLOGY in rodent. Combining these two approaches, E-PHY-SCIENCE offers an ‘a la carte’ service which is based on reactivity and high precision. With its in Vitro platform E-PHY-SCIENCE provides field or single cell recording from acute brain slices or cell culture. With our in vivo platform, we provide field, multiunit as well as single unit recordings in freely moving or anesthetized rodents. EATRIS helps you de-risk and add value to your drug, vaccine or diagnostic development programme. We do this by providing fast, tailored access to clinical expertise and cutting-edge enabling technologies available within our 80 academic centres across Europe. Solutions are provided in the fields of advanced therapy medicinal products, biomarkers, imaging and tracing, small molecules and vaccines. We offer unique services in drug discovery: cytoskeleton-related products and services. These services are intended as important filters in drug discovery and allow de-risking early-stage projects particularly in the fields of oncology and neurodegenerative-diseases. Our scientific team is dedicated to provide you answers and save you time. We are also able to offer tailor made assays from in vitro biochemistry to cell biology, in order to fully satisfy satisfy our client's needs. The EU-Japan Centre for Industrial Cooperation is a non-profit organisation between the European Commission and the Japanese Government. The mission of the EU-Japan Centre for Industrial Cooperation is: -to promote all forms of industrial, trade and investment cooperation between Japan and the EU; -to strengthen the technological capabilities and the competitiveness of the European and Japanese industrial systems. FGK Clinical Research GmbH is a Europe-based full service Contract Research Organization with offices in Germany (HQ), Poland, Czech Republic, Hungary and UK. We provide full service for Phase I - IV clinical studies. Our international client base includes biotechnology, medical device, and pharmaceutical companies. We have all the knowledge and experience necessary to guide you through the clinical trial process, from planning and approval to the final report. 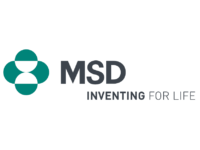 FINDMED is a consortium of 12 Carnot institutes, which are French academic research institutions selected for their ability to set up research partnerships with the industry (from SMEs to international corporations). These institutes are devoted to health research (human or animal), as well as additional expertise in chemistry, formulation and data processing. The objective of FINDMED is to facilitate the access of companies to their expertise and technological resources. 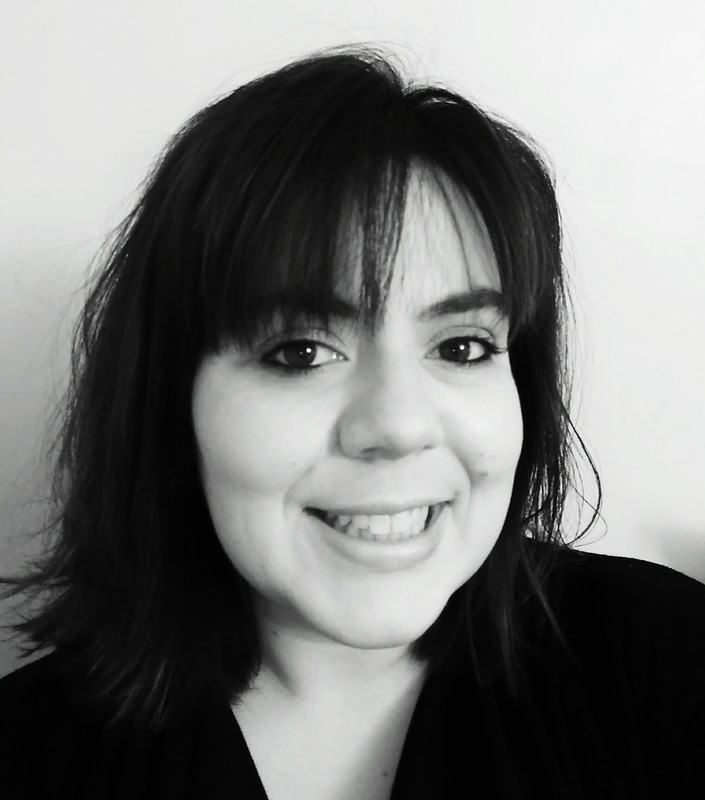 Future Worlds is a startup platform and business incubator championing the innovative commercial opportunities being developed by researchers and students at the University of Southampton. 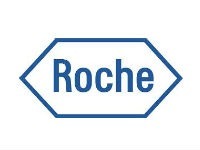 Harmonic Pharma has developed a unique Pharmacological Rediscovery© platform based on polypharmacology that consists in identifying the ensemble of biological targets linked to safe drugs in order to investigate their novel therapeutic applications. The company most advanced candidate HPH112 - developed in collaboration with Institut Curie - represents a promising drug candidate for a fast and de-risked clinical development in combination with the most recent treatments e.g. immunotherapy. 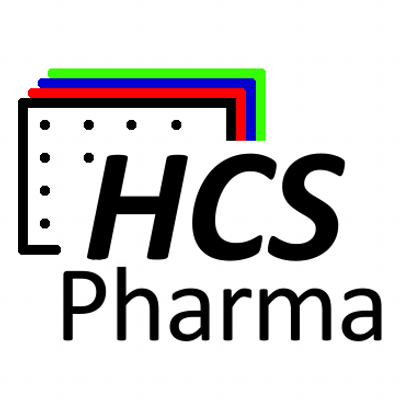 HCS Pharma is a CRO specialized in cell imaging (HCA/HCS) that offers services (phenotypic screening, efficacy and safety assays, POC) in pre-clinical in vitro research. Expertise: the development of new in vitro tests in pharmacology and their use in medium / high throughput screening in cell imaging: "High Content Analysis" (HCA) / "High Content Screening" (HCS). Its areas of expertise: neurodegenerative diseases (Parkinson, Alzheimer, ...), oncology, toxicology (hepatotoxicology ...). Created by decree in 1984, the French Research Institute for Exploitation of the Sea is a public institute of industrial and commercial nature. Through studies and expert assessments, Ifremer contributes to knowledge about the oceans and their resources, the monitoring of marine and coastal zones and the sustainable development of maritime activities. Innobiochips is a diagnostic company committed to propose innovative multiplex immunoassays and aims to position its technology, SirYus™, as a new standard for In Vitro Diagnostics. As of today, Innobiochips has developed and produces products dedicated to transplantation and Immunodeficiency and is partnering with several major players which decided to incorporate the technology in larger IVD application. Innobiochips is seeking other partners with a « SirYus inside » interest. Inoviem Scientific is a Contract Research Biotech (CRB) with unique label-free technologies for the identification of clinical trarget(s) directly from patient samples. We currently work with big, mid and small pharma companies all over the world. Based on our two proprietary technologies, we aim to bring the relevant information on drug's efficacy, toxicity and molecular mechanism of action, from human tissues, as early as possible to enable the pharmaceutical industry to move forward. Carnot Institute Livestock Industry for the Future provides R&D competences to livestock sector businesses, mobilizing three main levers for multiefficient, sustainable and profitable farming: health, nutrition and breeding systems and animal genetics. 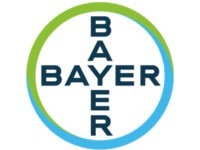 We brings together french actors from agro-veterinary research with an international visibility and R&D knowledge and expertise of three Agricultural Technical Institutes which are international leaders in the breeding services. Kitos Biotech provides cell-based assay services for anticancer drug discovery research, taking advantage of cutting-edge automation systems. Kitos Biotech is an italian private company founded in 2016 by two researchers in cancer cell and molecular biology. The laboratory is located in the scientific park of Porto Conte Ricerche (Italy). Ksilink’s expertise lies in patient based, target free phenotypic drug discovery and preclinical development up to in vivo POC. Our ambition is to find new treatment solutions in the areas of muscular and cardiovascular diseases, neurodegenerative and psychiatric diseases. Ksilink further has launched several oncology and immune oncology projects. Ksilink acts like a highly specialized open innovation center enabling technology transfer for academic and biotech partners. Maco Pharma is one of the key players in the medical device industry for blood transfusion, solution bags and biotherapy. Their growth has always been driven by major innovations. These innovations are the result of substantial investments in research and development, as well as cooperation with customers and partners: blood centres, research laboratories, hospitals... For each of these 3 fields, Maco Pharma offers a range of products and services for each step of the processes. With 2300 employees, 4 plants (2 in France, 1 in Poland and 1 in Tunisia) and worldwide presence in nearly 100 countries, Maco Pharma aims at offering innovative solutions and quality products to optimise therapeutic practices and make them safer. Our Mission: We create innovative solutions to healthcare challenges. 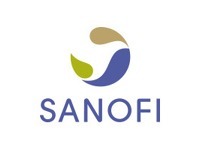 Our vision: We combine our unique knowledge of formulating delivery systems and our drug development expertise to bring innovations from idea to Product. We pride ourselves in coming up with elegant solutions to healthcare challenges. Whether it be developing unique products of our own or applying our expertise to advance our customers’ production processes, creativity is one of our core values. As a private and independent Swiss company, Microsynth provides services related to DNA/RNA synthesis, various kinds of DNA/RNA analyses and molecular biology project outsourcing. For more than two decades, our objective has been to serve our customers by delivering products and services of the highest quality, on time and with outstanding service – and all this at competitive prices. NANOTRANSMED enables french, german and swiss scientists to develop together applications and innovations in nanomedicine, meeting major issues regarding patients’ care. The consortium focuses in particular on issues concerning early, reliable and fast diagnosis but also personalized treatment of diseases such as cancers and inflammation as well as issues regarding nosocomial infections contracted by 5% of hospitalized patients. The project is cofinanced by the INTERREG VA Upper Rhine programme. NeurATRIS is a research infrastructure conceived to accelerate the translation of discoveries in basic research into medical innovations for the treatment of diseases of the nervous system. NeurATRIS brings together the biggest French teams of experts such as 5 hospitals and public research institutes whose expertise and skills in neuroimaging, pharmacology and biotherapies are complementary and internationally recognized. NeurATRIS is the French node of EATRIS-ERIC. Nova manufactures automated analyzers for cell culture and fermentation monitoring. Our modular BioProfile FLEX provides key chemistries and gasses and is expandable to include Cell Density and Cell Viability, Osmolality and IgG or Phosphate results with the same sample and a single data output stream. BioProfile CDV is an automated cell density/viability analyzer with a range of up to 80 million cells/mL. Stat Profile Prime is a compact high throughput, low sample volume, 9-test chemistry/gas analyzer with no maintenance cartridge technology. OVH Digital Launch Pad is the startup support program of OVH, Europe’s largest cloud provider. It provides innovative startups with funding and technical support from seed stage to market. Via the Digital Launch Pad, OVH will support companies with training, logistics and marketing as well as access to exclusive events and OVH's cloud infrastructure. Startups receive this assistance from early-stage until they are ready to launch publicly. The Pharma Logistics Club (PLC) is a non-profit inter-professional association, to intellectual vocation, managed by professionals belonging to health establishments and providers from all sectors, without distinction of specialties in the field of Supply Chain Pharmaceutical. Its purpose is to bring together people interested in participating to a better understanding and improvement of GDP and awareness for biotechs, CRO and research institutes. 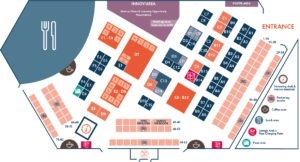 International positioning, we offer conferences, technical committees, logistics site visits and online tools. Porsolt, a long established, AAALAC accredited and fully GLP compliant, preclinical CRO, has been providing efficacy and safety pharmacology services for over 30 years, covering the drug development process from early screening thru regulatory submission. Porsolt provides in vitro assays (high throughput screening, high content analysis, and high content histology) and physiopathological models in multiples species and multiple disease areas, tailored solutions and bespoke model development. ProQinase is a preclinical CRO dedicated to support the development of cancer therapeutics by providing customized solutions that cover the full range of services from hit identification to preclinical testing. ProQinase’s portfolio includes biochemical kinase assays, cell-based assays, and in vivo tumor models. We continuously work to extend these services and, in addition, offers custom-tailored assay development to provide state-of-the-art drug discovery service. Rheonova offers a new physical biomarker for drug discovery and efficacy evaluation. Our product Rheomuco and the associated services aim to provide new pharmacodynamic data during in vitro studies or clinical trials in the fields of pulmonary diseases (cystic fibrosis, COPD, asthma…). Our technology measures the viscoelasticity of mucus and deliver the physical properties of bronchial secretions. The benchmark of new molecules is performed using patient sputum or mucus obtained by cell culture. Association Santakos Slėnis (Santaka Valley) unites and integrates activities of 4 largest research and study institutions of Kaunas : Kaunas University of Technology, Lithuanian University of Health Sciences, Vytautas Magnus University and Lithuanian Energy Institute at the science and business valley "Santaka".The aim of association is to carry out interdiciplinary scientific and aplied research, to create proper conditions for high-quality research services to businesses, to coordinate. 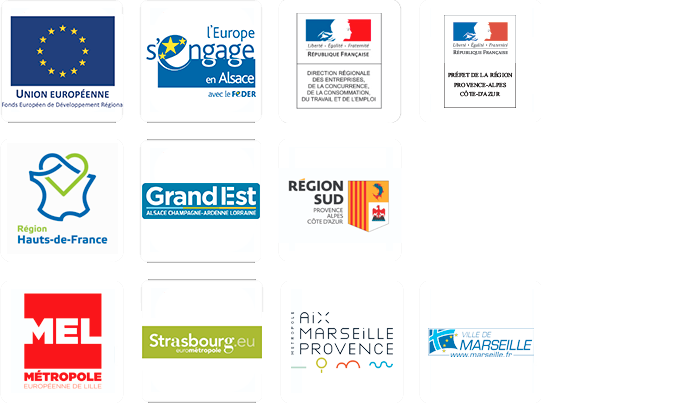 SATT Conectus Alsace is the single entry point for companies and exclusive business partner to access to all the innovations originating from public research institutions in Alsace, one of the top ranked regions in France for the excellence of research. It is also the partner of choice to access a unique and broad range of highly advanced knowhows, skills and facillities, within a favourable geographic position in the heart of Europe (Alsace borders Germany and Switzerland). 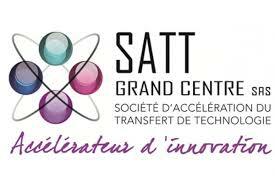 SATT Technology Transfer Organization (Center of France) organizes early detection of inventions and guarantees its exclusivity. SATT Center of France reveals the potential of future innovations for a successful transfer to business in providing financial and technical supports. Located in Clermont-Ferrand, SATT Center of France works with 6 Universities, 3 Regions, 8 Institutes of Technology and 8500 Researchers and Professors. Each and every project, concept or specific need is like a rocket ready to be launched. You are the captain of the spaceship and you must fulfill your mission. We are a specialized service provider in Research and Development. Whether you plan to conquer space or develop your business, our team will support your endeavours. Whatever your request, we can offer a scientific expert for service provision, event planning, recruitment, and training that will come on board to fulfill your mission. Sencet is a spin-off from the CNRS and relies on a bio-technologie, the Silicon Nanotweezer (SNT). The concept is based on the use of microtechnologies to measure the electrical and mechanical properties of individual cells. This type of measurement has been shown to allow the differentiation of normal and cancer cells. In the short term, Sencet products will take place in academic laboratory environment as powerful cell characterization tools. And in the middle term, Sencet will provide diagnosis tools for early detection of cancer from blood sample. The French association for animal health industry (SIMV) represents and federates 39 manufacturers and marketers on the French market of medicines and reagents for pets and for farm animals. The SMALTIS compagny, specialized in biotechnologies, designs through contracted services, customized solutions in Microbiology and Molecular Biology to help laboratories with their R&D projects. Its strengh relies on a qualified team with specific know-how and an ISO 9001 certification in order to provide a personalized, confidential, interactive and quality service. With a solid scientific background and a diversified and certified "toolbox", SMALTIS operates globally in R&D projects. SynAging focuses on disease-inducing misfolded protein aggregates. Advances in neurobiology helped to understand the pivotal role of soluble prion-like misfolded protein aggregates in neurodegenerative diseases. SynAging has proprietary procedures to create aggregates with highest reproducibility. Oligomers are used in vitro and in vivo to induce neurodegeneration acutely and provide drug developers with fast access to phenotypic models mimicking the corresponding neurodegenerative disease. Veolia Water Technologies, the expert in water cycles, provides specialist equipment for the production and supply of water to industrial companies and laboratories, in compliance with the most stringent quality of water. Our range of ELGA VEOLIA equipment meets all laboratory water production needs, from ultra pure water to the production of purified water for general use. 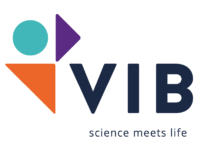 ViroScan3D is a service provider company in "Genomics Analysis" for infectious diseases including Pathogen Discovery, Biomarker discovery and Biosafety. Based on a solid expertise in genomics, microgenomics, particularly in NGS and microarrays, we perform Transcriptome, Genome, Metagenome and Epigenome analysis as well as Sequencing of new virus, bacteria, fungi, viromes and microbiomes. Our services are complete, from to data analysis and available from low-copy and low-integrity samples. Xpress Biologics is a contract development organization specialized in the production of Biologics, proteins and DNA, for the therapeutic and diagnostic markets.The production scale and the quality of the biologics (R&D and GLP) are adapted for in vitro and in vivo pre-clinical validation of the biologics. Xpress Biologics processes take into account the industrial and regulatory requirements, which greatly facilitates the transfer of the project to CMOs for the production of GMP grade material.